Year’s Ending Kids Clothing Sale !! 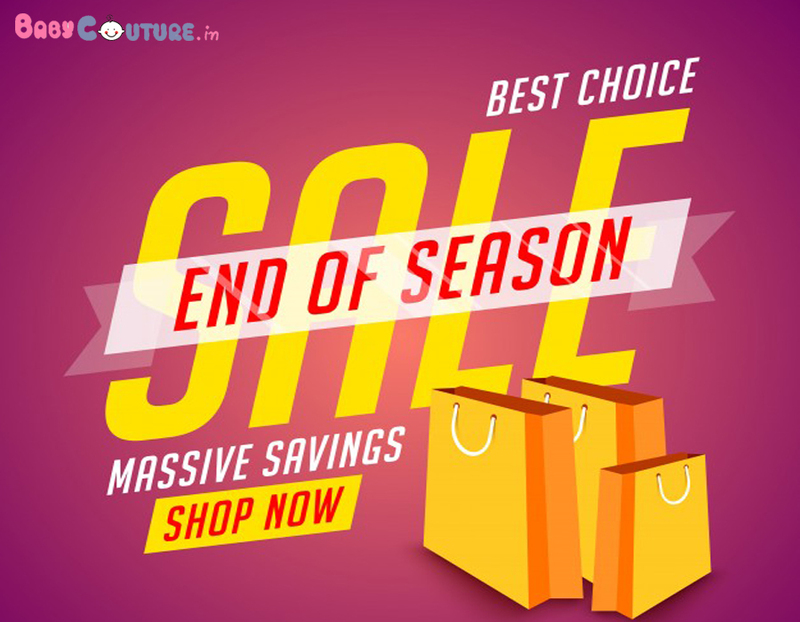 2017 is soon going to bid goodbye and so we are here with some amazing products with exciting deals, exciting enough to make you go and grab all we have at our sale store. Make yourself a hot chocolate, wrap yourself in a warm blanket and surf Babycouture to get great deals on the store, kids clothes sale. Sale here isn’t just to attract your attention but we do literally mean SALE. Same clothes at almost 50 % discount. Not only clothes we have ample of other things listed in the sale. For you to just have a quick look at what we actually have put up on sale here’s the pee ka boo! Style your gentleman in this Saka cute cartoon print boys 3 piece ethnic set to make him look adorable. This combo has Nehru collar kurta and a coat. The kurta here is full sleeved and the brocade coat here is what making the set most beautiful. The pajami is elasticated and thus is a easy wear. This is a pretty yellow dress with broad pleats with floral print all over the dress. 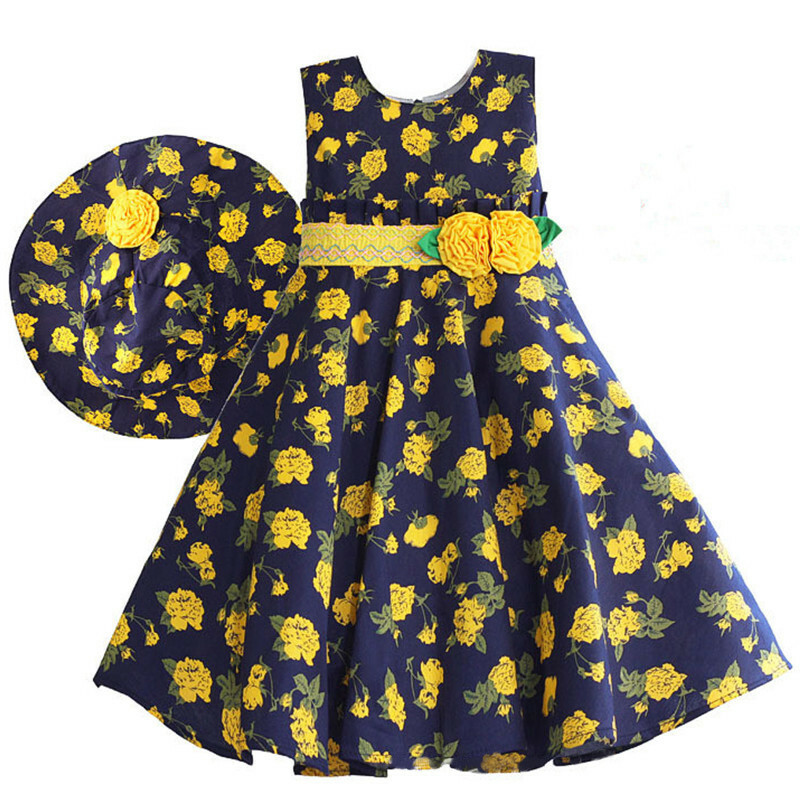 This yellow blooms navy blue dress is with hat and will look gorgeous on your baby girl. The soft inner lining makes this dress comfortable and also gives it a perfect fit. There’s also a stylish belt tied at the back with flower appliques and that makes it more attractive. Grab this happy dress to see your baby’s happiness wearing this. This is a unique color to find and dress your little son in. 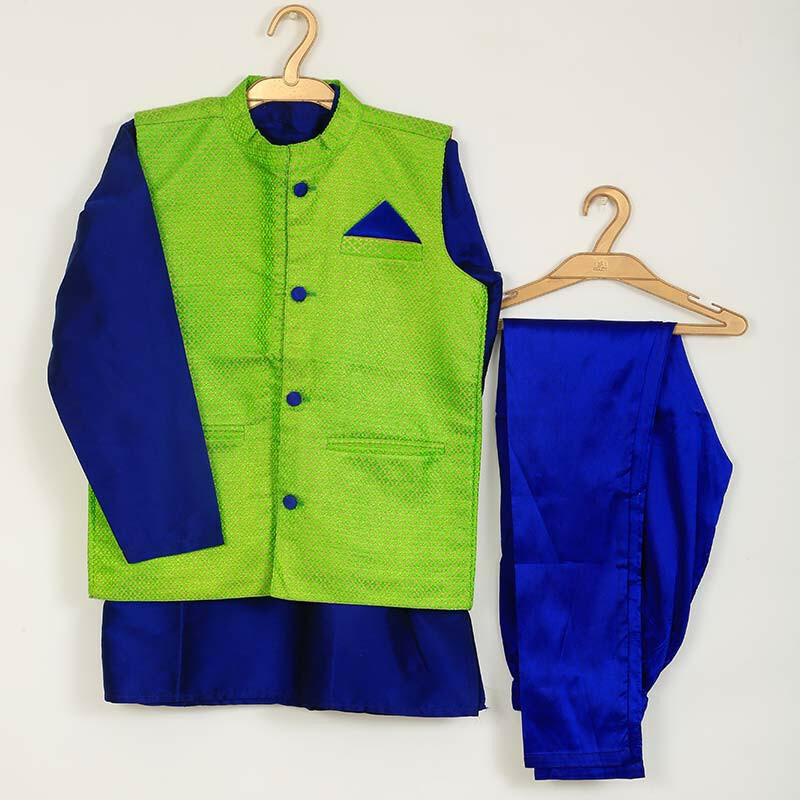 It includes a Nehru color kurta, peacock colored with a sleeveless coat. It has a pajami comfortable and elasticated. The button closure gives proper fit and the color combination is attractive enough. Grab this and let your little gentleman dress handsome. This is a subtle summer dress and has beautiful polka dot print which we assure your little will love. It also has small cute pleats and thus this summer street polka kids dress is going to look just perfect on your little doll. 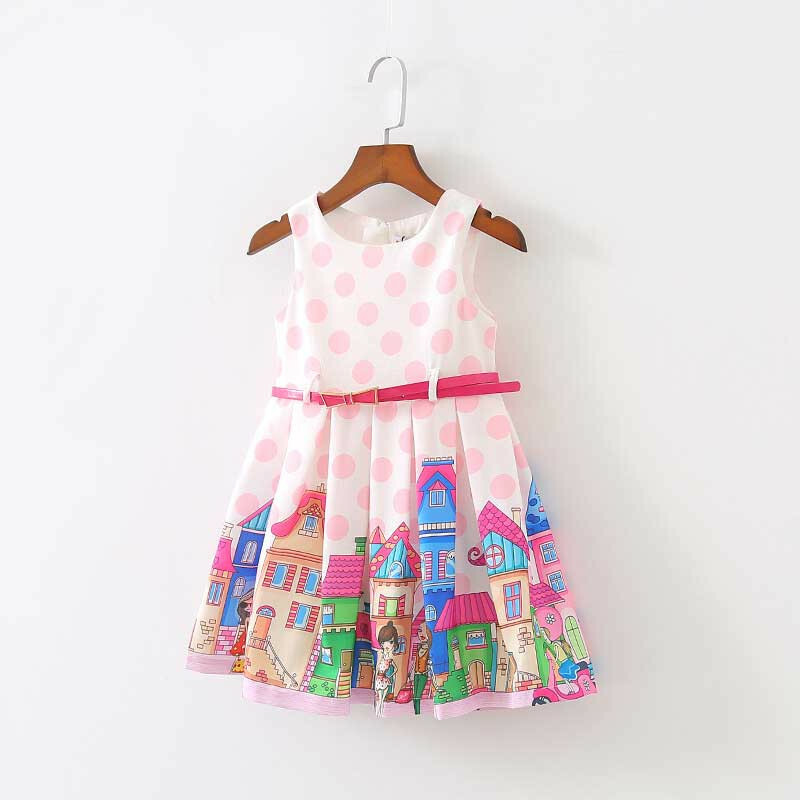 The cartoon print on the flare is going to attract your daughter the most and next of course the color, Pink! The cute pink belt with the dress makes it more cute and enhances the overall look of the dress. Zip closure is for the perfect fit and shape. You are not going to regret this dress, order! Here we have something traditional too in our stock. 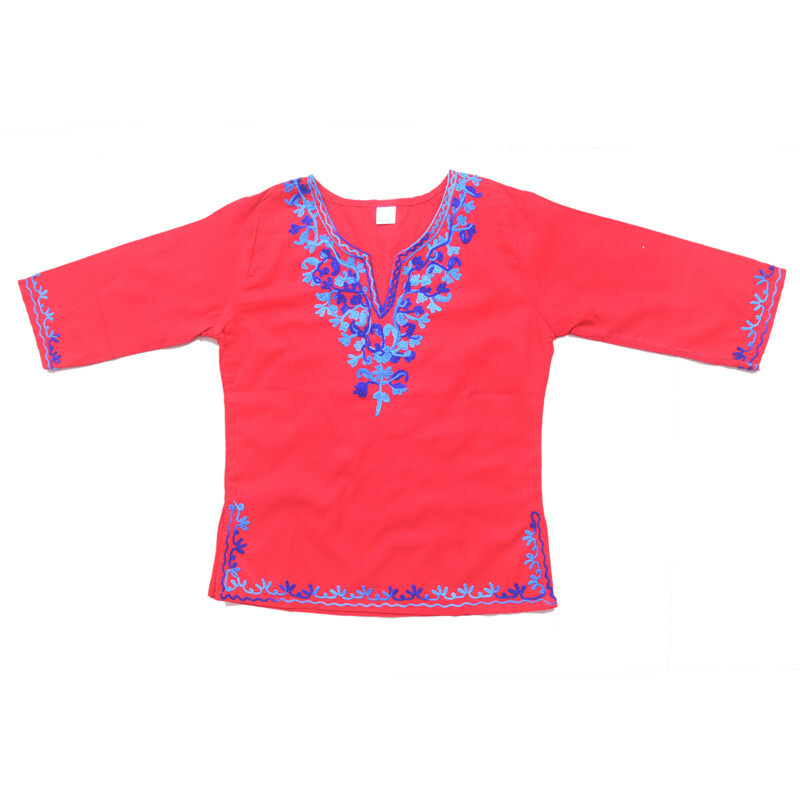 This swanky me red blue Embroidered kurti is one of them. This kurti has a great fabric with beautiful embroidered on cuffs, hemline and also neckline. 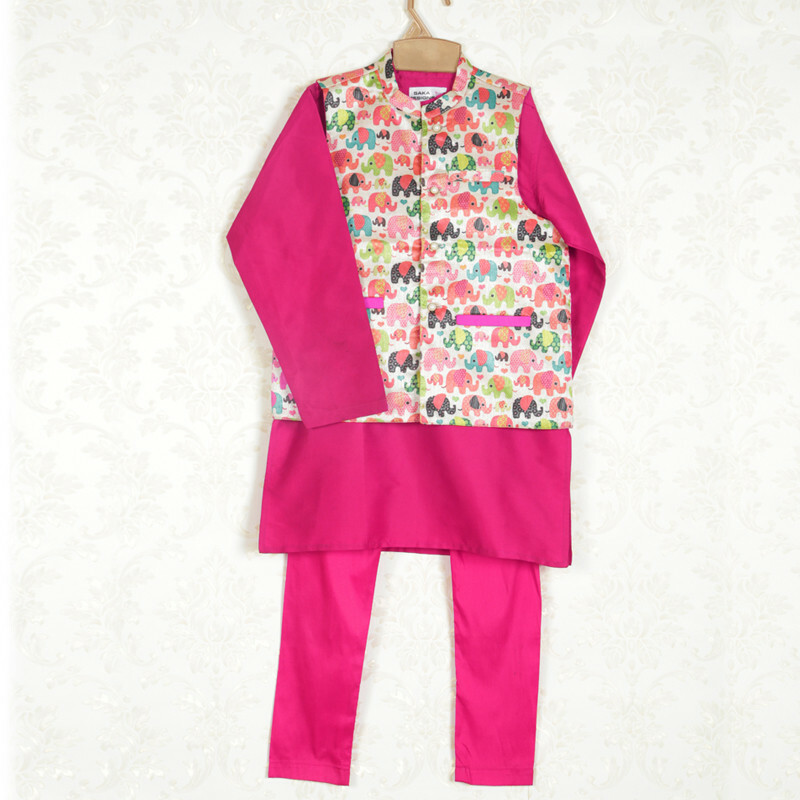 You can make your little girls wear his kurti in some light traditional occasion or some holy gathering. This can be worn casually as well, so why not garb before it’s out of stock! Grab these dresses before we go out of stock. The sale is really relevant and worth to give some time and a little watch. There are lot more in the store. Be cozy enough and surf for hours to wisely pick some great ones and make money, indirectly. After all what is sale for!! The post Year’s Ending Kids Clothing Sale !! appeared first on Baby Couture India.